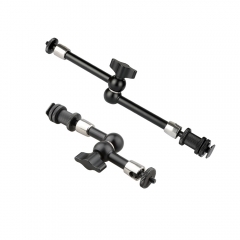 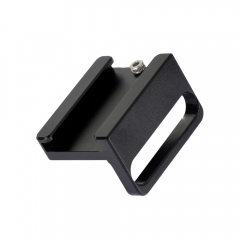 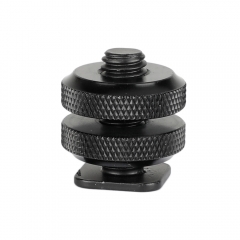 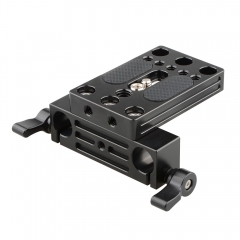 • It consists of a 1/4"-20 screw mini ball head, a 1/4" female to 5/8" male microphone mount screwed on its top and an oval base with 2 fitting holes screwed on its bottom, which leaves mounting points for accessories or devices on both ends. 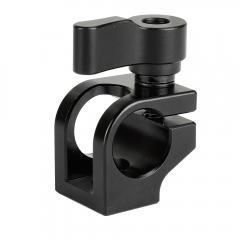 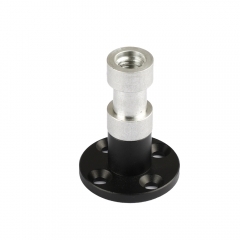 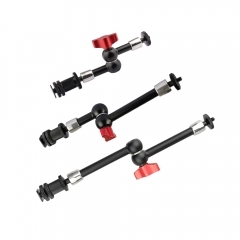 • The mini ball head mount is made of aluminum alloy for light weight and durability, and could attach a microphone or monitor /surveillance system with 5/8" mounting hole to the table, podium, wall and ceiling. 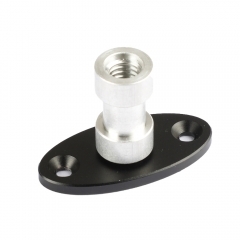 It comes with 2 fitting holes on the base that allows sturdily attaching with cross screws. 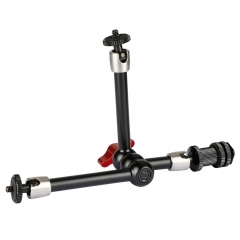 You can also adjust the angel as you want with 360 degree rotating design.